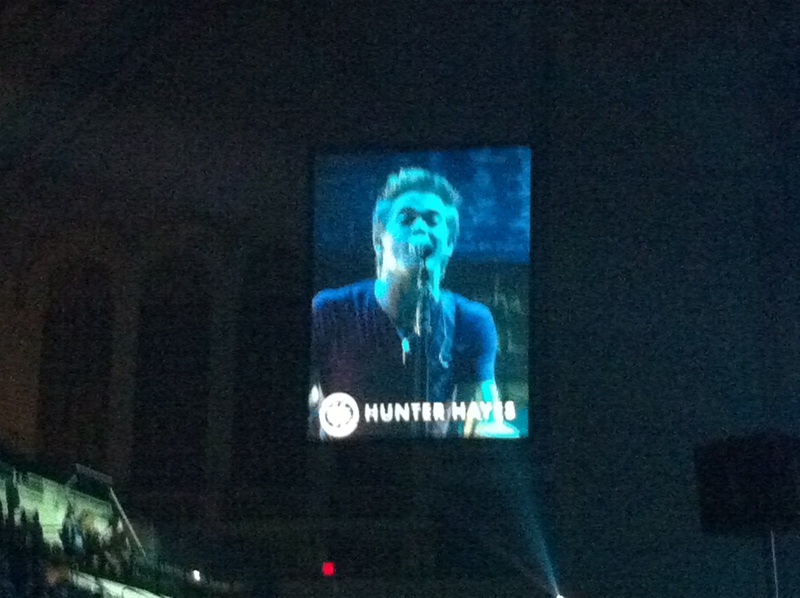 Hunter Hayes opened the show. He is the Justin Bieber of the country world and deservedly so. He is an incredibly adorable young man who is aged beyond his years. His performance of “Wanted” and “Storm Warning” highlighted his show. 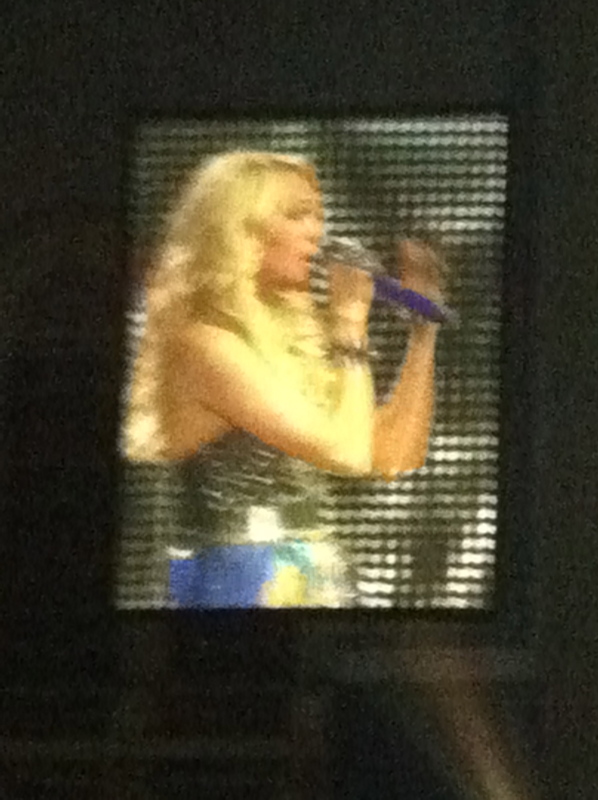 When Carrie came out, everyone stood and made some noise to let her know how much they valued her talent. I had goosebumps when she came on stage. I couldn’t believe I was finally able to see this amazing young woman I have followed since she appeared on American Idol. The best part of the show is when she performed a set on a platform that too her out over the audience. The performance of “One Way Ticket” off her new album was a feature performance for her. She threw down lei and her crew brought out huge beach balls for us to pass around the crowd. 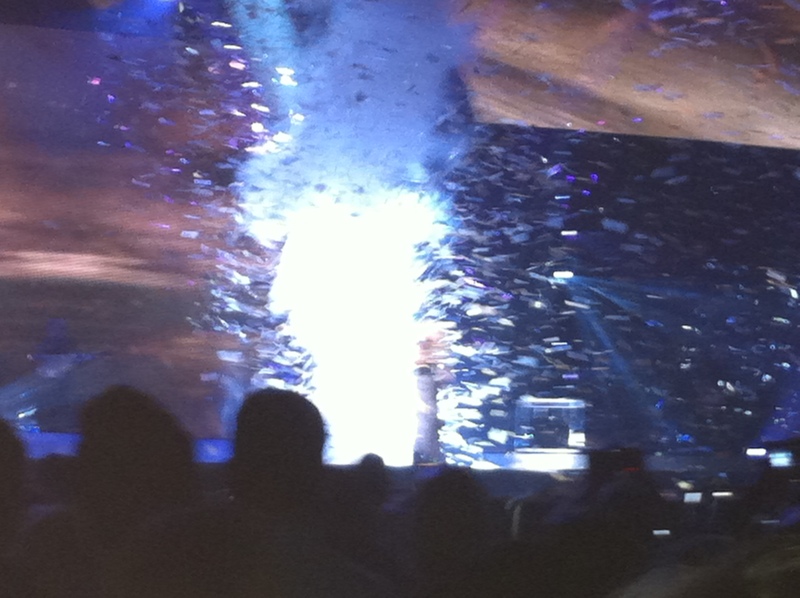 Toward the end of the song, confetti rained down on us for one final effect. Carrie did a fantastic job putting together the set list for the show. 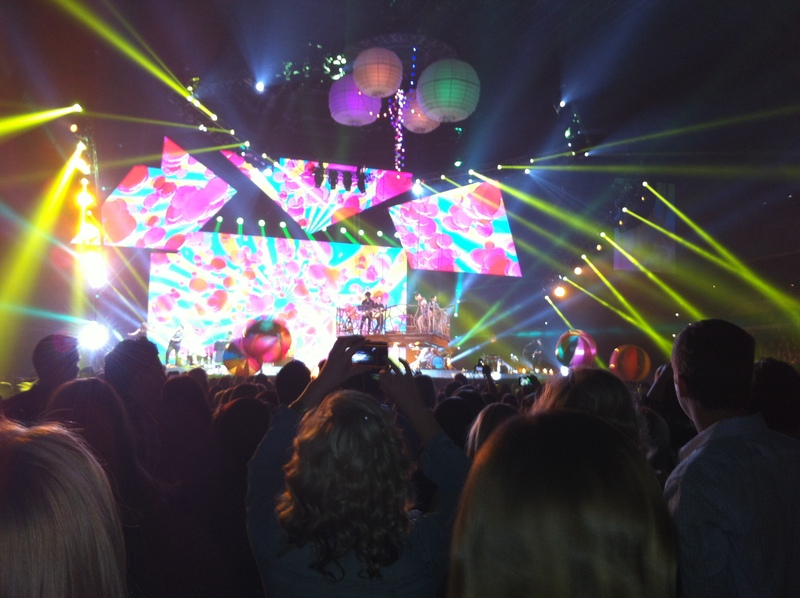 She opened her show with “Good Girl,” the first track off The Blown Away album. She also featured many older songs off of her old albums. Fan favorites were “Wasted”, “Temporary Home”, “Remind Me”, “Before He Cheats.” Of course, she closed the show with a stunning performance of “Blown Away.” If you can catch one of her stops on the tour, don’t hesitate to get those tickets! She even donates $! of every ticket to the American Red Cross.